One of the three pillars of my creativity is independent game design and development. I have developed one independent role-playing game system, which you can read about below, and I am also always working on my next big gaming project. 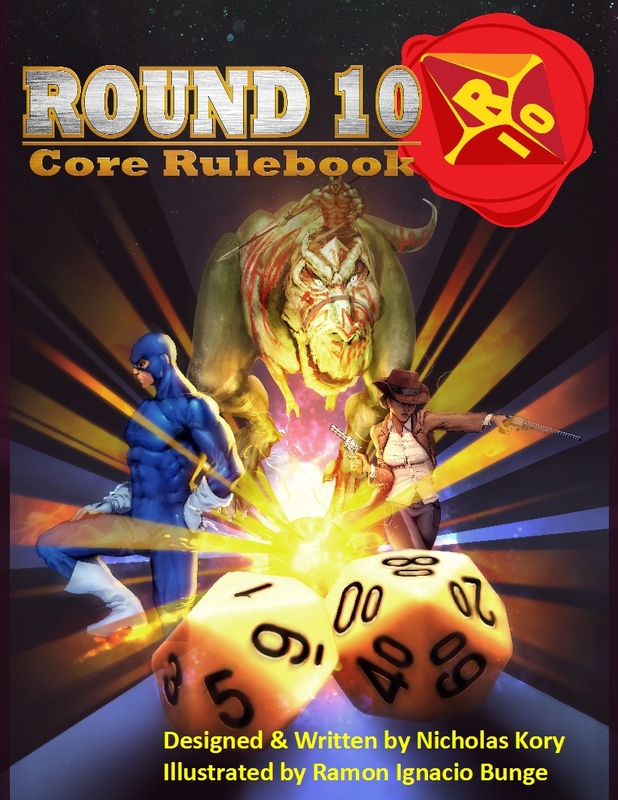 A universal tabletop RPG system built from the ground up to be a happy middle ground between crunchy-tactical play and narrative-driven experiences, Round 10 was self-published by myself and a collection of illustrators, supporters, and others. You can read all about Round 10 gaming by click on the image on the left! You can also find all of the Round 10 products released thus far by visiting the Gaming Store on the left-hand navigation bar, or by clicking HERE!